When thinking about Ohio, specifically Portage County, cheese is not the first thing that comes to mind. Lush green pastures of the various farms, quaint small towns that appear frozen in time, and narrow dirt roads leading to who-knows-where dot this beautiful countryside. Yet dotted throughout the county are artisans yielding their craft and producing fresh, sweet, and often surprising goat’s milk cheese beyond compare. One such artisan is Jean Mackenzie, founder and President of Mackenzie Creamery in Hiram, Ohio. I met Jean at her home, Stonewall Farm, early this spring. Located forty minutes southeast of Cleveland, this storybook farm appears untouched by time. In actuality, the whole house has been renovated and the barn is fairly new, yet Jean and her partner Jim Zella have remained true to the original architecture with a few embellishments. One addition is the two thousand foot wall surrounding the main house using stones found on the property, which gives the farm its name. 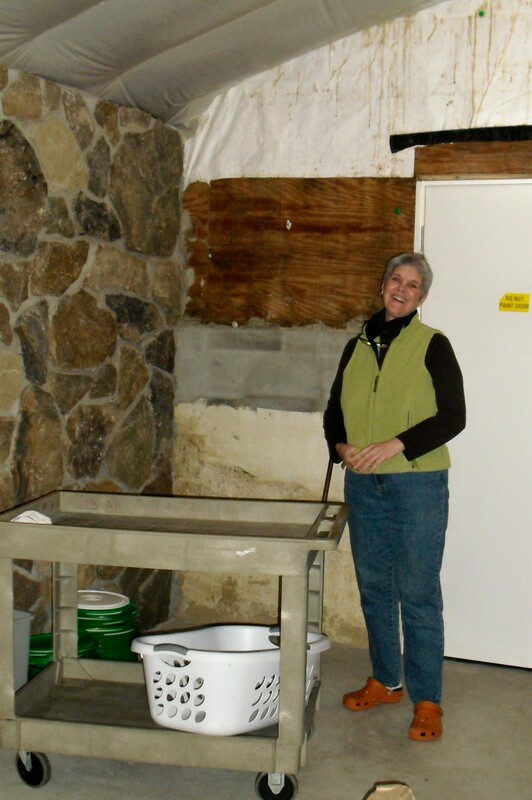 By October 2007, Jean became the second licensed cheese producer in Ohio. 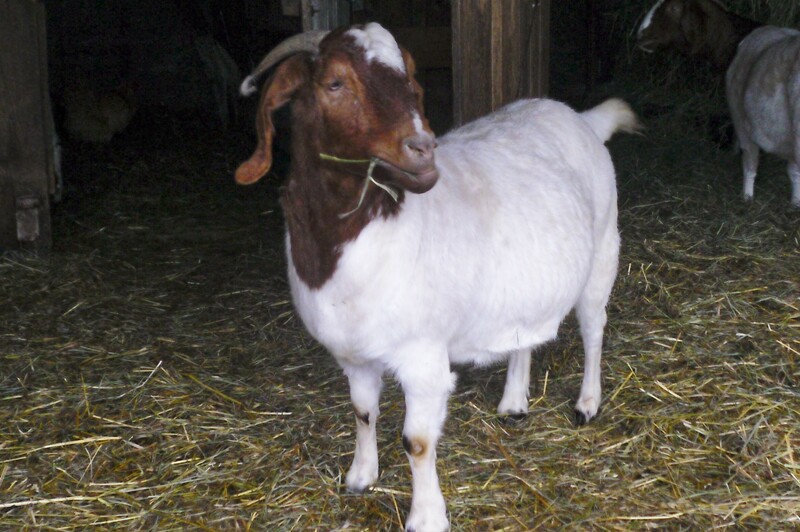 By January of 2008 Mackenzie Creamery was selling its goat’s milk chevre at markets and stores throughout Ohio. 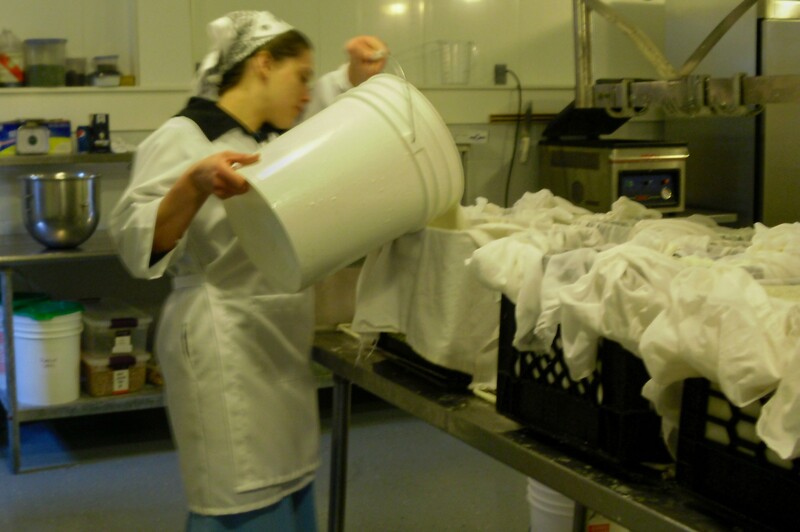 As with many creameries and dairy farms in Ohio, Mackenzie Creamery is an all girl club. Even the goats and chickens are all female. After a stroll about the grounds, Jean and I moved on to the barn where all the artisan cheeses are made. Inside the production room, Jean explains what the women are working on. 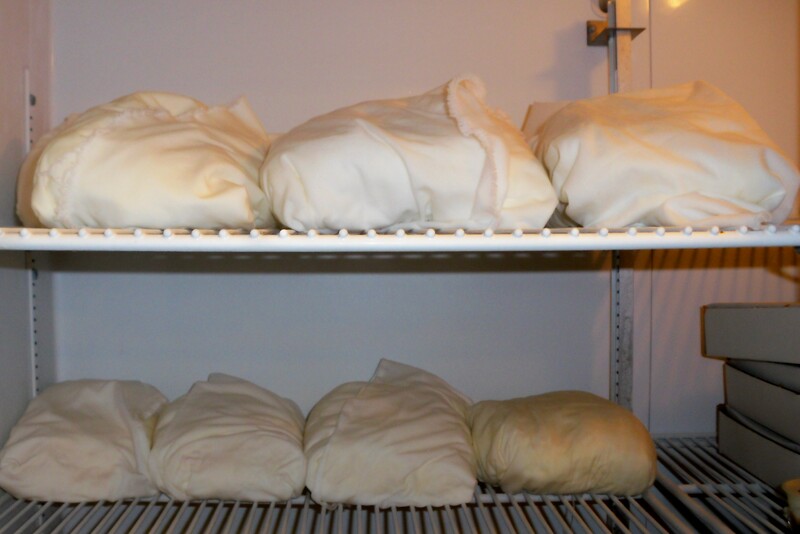 The cheese is set in coolers with muslin, which pulls out even more moisture. Once the cheese is set, it is hand rolled, weighed and put into wrappers. The farm recently acquired an auger stuffer which is calibrated to the exact weight for the cheese wrappers to be filled. Mackenzie Creamery is continuously improving with both equipment and product storage. New machines, larger storage as well as a new cheese cave for creating aged cheese are in the works. The cheese cave has stones used from around the property. The goal is to produce a banon using grape and chestnut leaves picked from local farms. Banon is usually made with raw milk, however since it is only being aged for 30 days, this banon will be made with pasteurized milk. 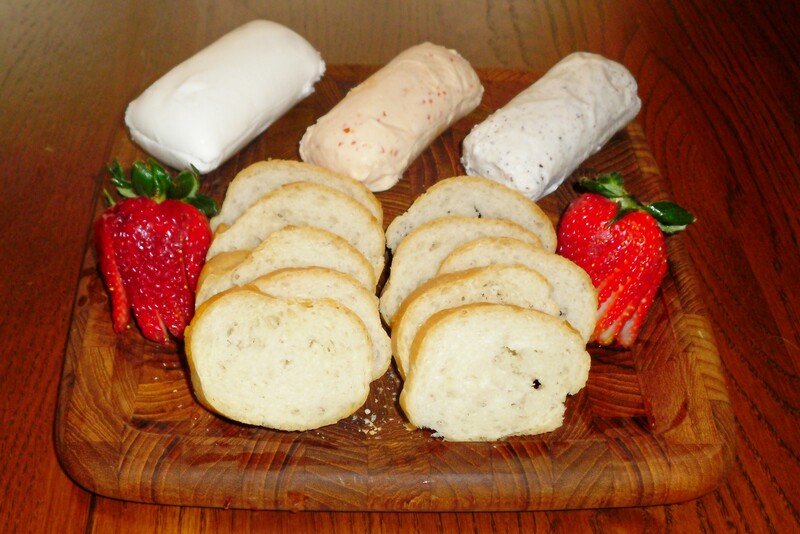 Triple-cream brie and possibly a crottin are also in being considered additions to the product line. Jean is a master at creating exciting flavors for her chevres. From the spicy Sweet Picante to the dessert-inspired cranberry-cinnamon-walnut, there’s a taste for any preference. My personal favorites are the black truffle which has a hint of lemon and the Sweet Fire that incorporated black raspberries and Habanero. It shouldn’t work, yet it does in a burst of heat that is quickly tempered by the sweet berries. Jean laughs a bit and shakes her head in the negative. Mackenzie Creamery chevres can be found at most upscale food marts throughout Ohio.